gustafwesterlund: Dynamics 365 Saturday in Stockholm - will be a blast! 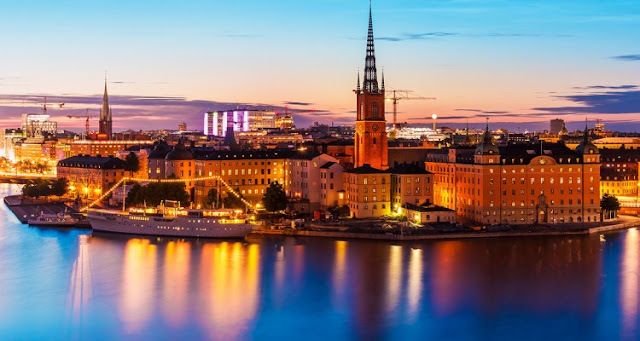 For the first time ever 9 Business Solutions MVP:s will converge on Stockholm to share their knowledge! In the amazing Dynamics 365 Saturday event which will be held on the 10:th of November 2018 at the Microsoft Office in Kista, just outside Stockholm. As usual, the Dynamics 365 Saturdays are free. As the main organizer, me, my company CRM-Konsulterna and the MVP Jonas Rapp, will also help out it is of course very satisfying to have so many talented people sign up to speak. A lot is happening, and version 9.1 was just rolled out today in EMEA if you didn't notice. Hence there is a lot to talk about. Development - sessions on development and configuration that could be viewed as programming like Flow, LogicApps, PowerApps/CanvasApps etc. Business/Project Management - sessions on how to best run projects, businesses, your career and other softer issues but all related to Dynamics 365. As the host, I really hope you are able to secure a seat, we are limiting the amount to 150 and we are getting signups by the hour, so be sure to book your seat now. Расскажите о новых и интересных блогах по Microsoft Dynamics, напишите личное сообщение администратору.